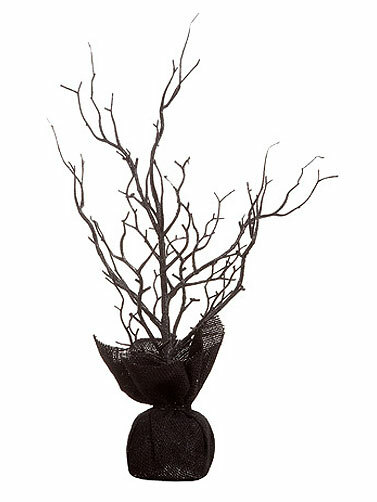 This Black Halloween Twig decoration makes a great table or mantle decoration. Use it as is for a spooky tree accent or dress it up with Halloween ornaments for a tree decoration that is all your own. Plastic twig tree features gold glitter with black burlap wrapped base. Black Halloween Tree measures 18"H.